Julianna Heale » Aye Aye Captain! 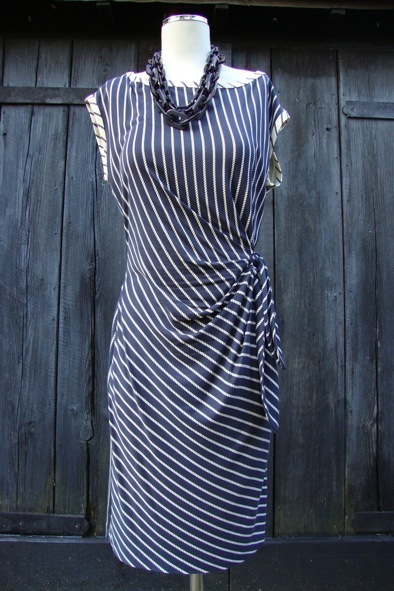 This lovely silk jersey “Della” dress from Diane Von Furstenberg is very easy to wear. It is so versatile and is essential for anyone’s wardrobe. The navy and cream rope/stripe detailing creates a subtle nautical theme. The front side-tie adds a feminine twist. The Della is a dress perfect for day or night, all year round. It is a US 10 / 14 UK and it has only been worn a handful of times. It is a steal at £115!